Inductors are used to store energy, create impedance, and modulate the flow of current. There are many types of inductors, as well as many core and winding styles, suited to different circuits. 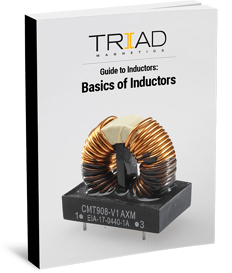 Because they are a complex component with dozens of variables to choose from, inductors are a difficult product to select or specify. *This guide is intended to be a brief reference and not an all encompassing text book.